So I retopologised(?) 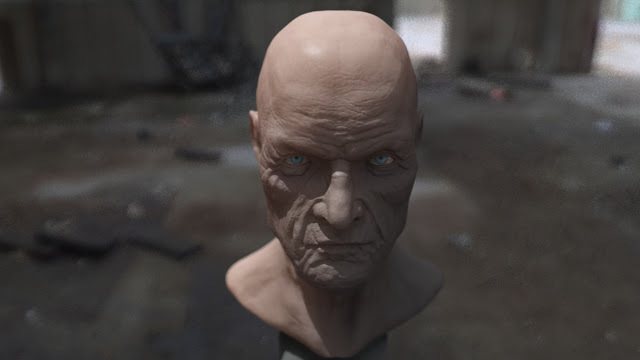 the head in Zbrush and exported it along with displacement. 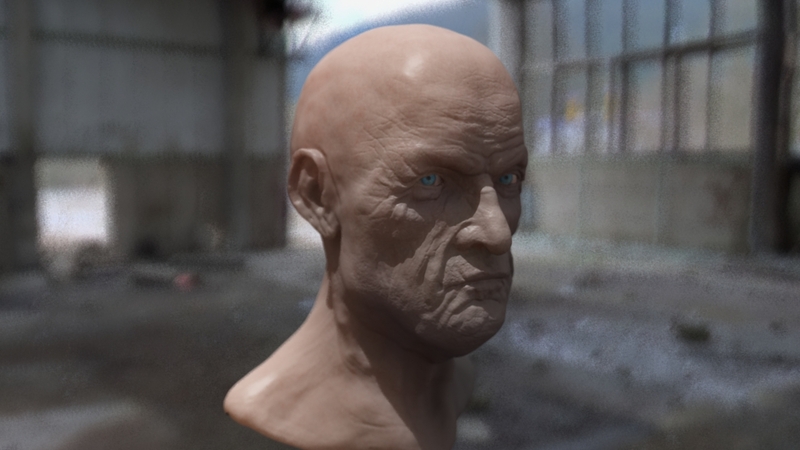 Stuck him in Maya for some realistic Mental Ray renders! I used image-based lighting, a skin shader for the head and a bokeh lense for the camera. Would be nice to get some eyebrows and stubble, and a bit more colour in his face.